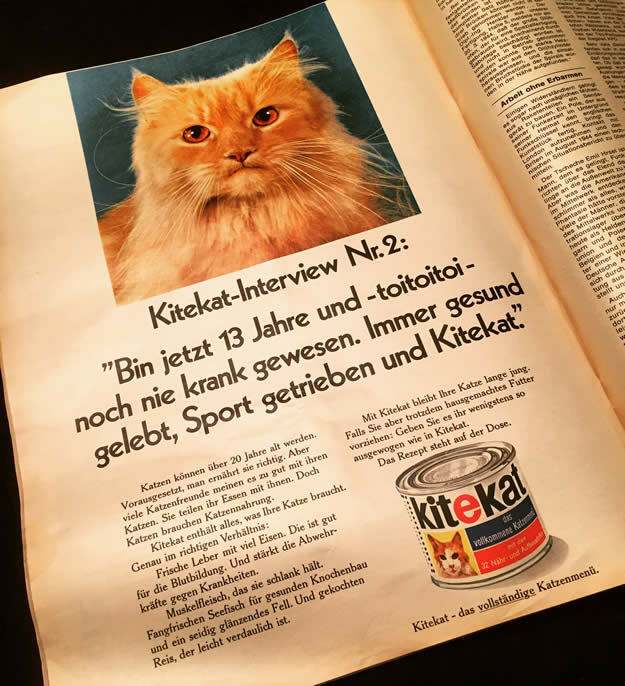 Time to learn a little German — a German cat food (I hope) magazine ad from the 60s. Toitoitoi — You’re going to like this word. This entry was posted in cats and tagged ads, advertisements, advertising, cat food, cats, felines, german, germany, kitekat, pets, toitoitoi on May 12, 2017 by Clayton Hove.